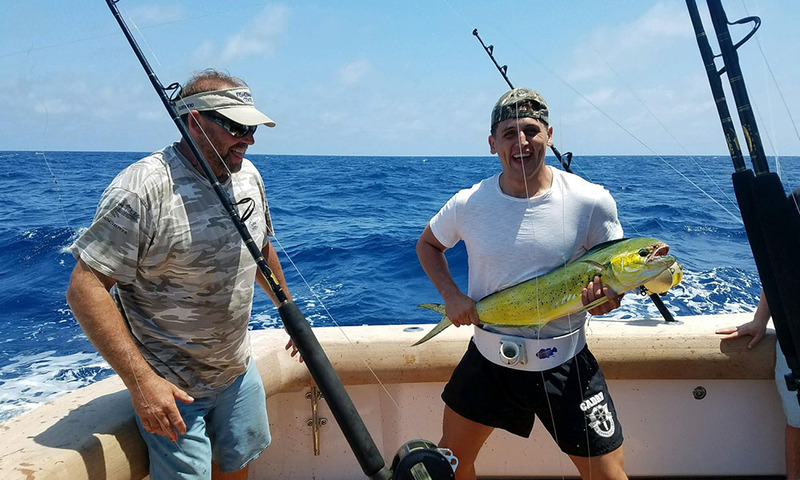 It isn’t every day that most Americans get to cruise offshore, fish the Gulf Stream, and bring home their catch to throw on the grill, but having the freedom to do so is truly priceless. 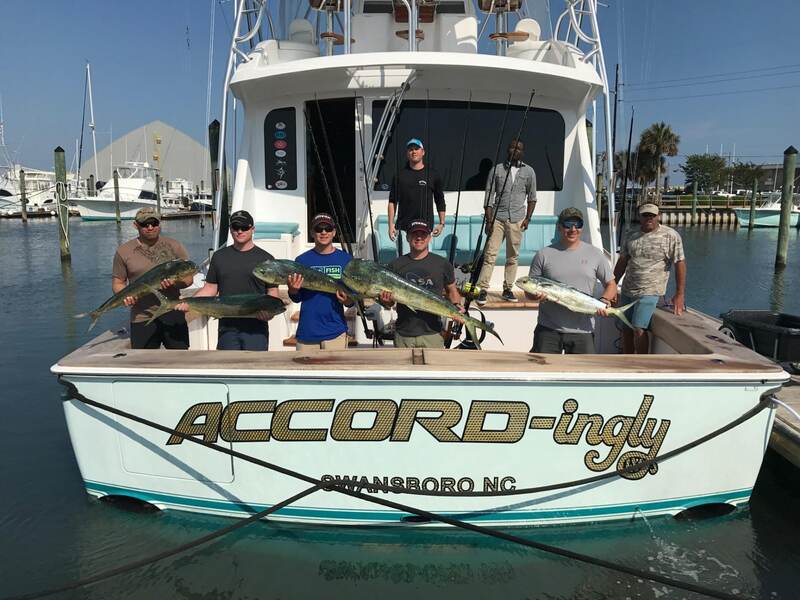 John and Susan Stevenson, owners of Accordingly IV (Viking 76 out of Morehead City, NC), were honored to share this American dream with a few families of our armed forces through their Bluewater Yacht Sales Sales Professional & boat captain, Peter Du Bose, and a ministry called Operation Resolute. Operation Resolute comes alongside chaplains and active military personnel to sustain military families and strengthen our active duty warriors. Based in North Carolina, the 501(c)(3) non-profit organization relies on donations and support to improve family relations and provide opportunities for servicemen and their chaplains to come together in safe outdoor environments, helping them decompress from the stresses of military life. These events also allow parents the chance to bond with their children as they spend time in the woods or on the water. 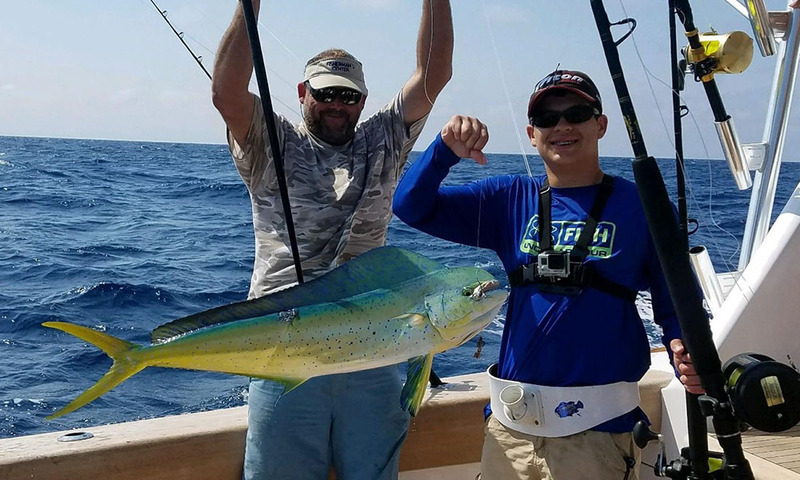 For many, this was their first experience offshore fishing. Joel McDaniel founded Operation Resolute in 2013 after talking with a military chaplain and good friend about support for soldiers. “Wounded Warriors is a great ministry that provides support to families at the conclusion of service in the armed forces; however, our focus is on the active duty warriors, the ones being deployed frequently to hot spots around the globe. Our dedication is to them and their families before, during, and after their missions.” Explains board member Lee Holder. The organization is still in the early stages of growth, currently able to serve military personnel only within North Carolina. Working with local churches and congregations, Operation Resolute has been able to expand mainly through word-of-mouth. “We’re not just raising money and doing something with it. We are really getting to know the families we’re helping.” McDaniel emphasized as he discussed the multiple hunting or fishing trips, family days at the zoo, and marriage counseling seminars hosted by Operation Resolute this summer.